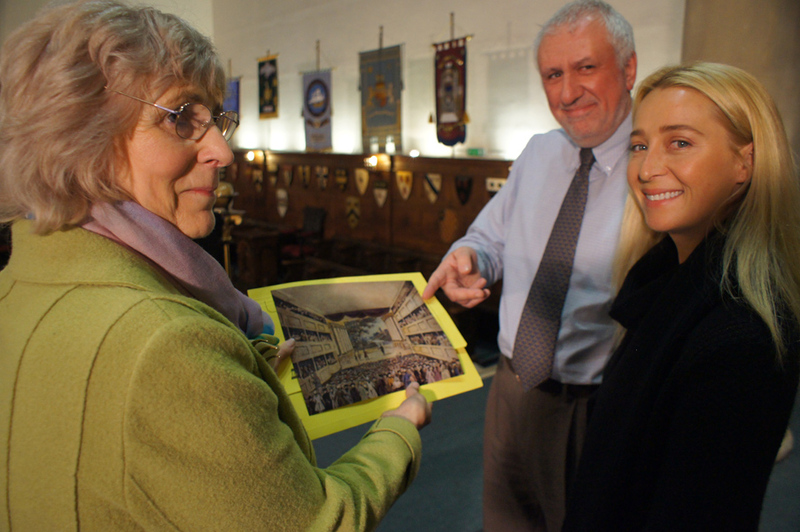 Our Tour Guides show visitors around the historic Bath Masonic Hall, which dates from 1750. 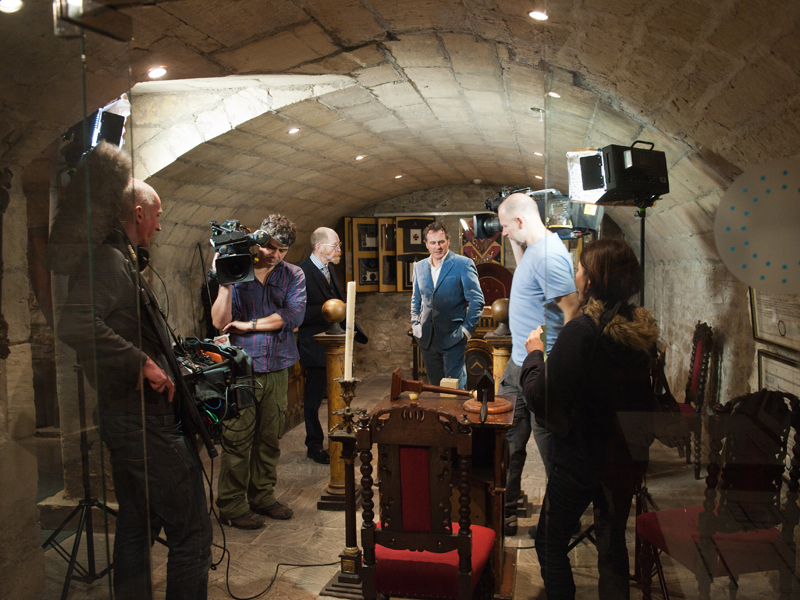 Three of its five floors, including the extensive vaulted cellars that house Bath Masonic Museum, are open to the public for tours and private functions. More details can be found on our associated Old Theatre Royal website. In recent years, the building has featured on BBC TV’s “Flog it” and “Celebrity Antiques Road Trip” programmes and on an Australian TV episode of “Who Do You Think You Are?” which featured actress Asher Keddie investigating her connection with her five-times Great Grandmother who was a member of the Bath Theatre Royal Company in the eighteenth century. 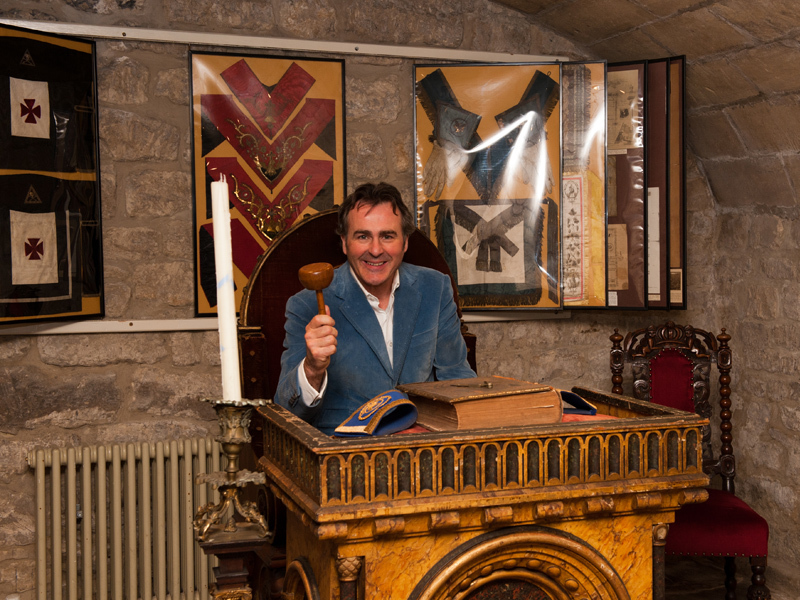 Bath Masonic Hall relies upon the income generated by public tours, which are run by volunteer Tour Guides who are all members of Lodges at the Hall. It’s a lovely job showing members of the public around the beautiful building and explaining its history and symbolism, and each guide is left to compose his own tour around a basic format. We are always looking for additional guides, and there are numerous Guide Notes available covering all aspects of the history to help you compile your tour. So if you can spare some time, you can enjoy learning a lot about our history as well as help keep Freemasonry alive and well in Bath. If you are interested, please email our Museum Curator for more details. Above: Left to Right – Margaret Kostopoulos (programme researcher), Malcolm Toogood (hall historian) and Asher Keddie look at a painting showing the theatre interior in the 18th Century. 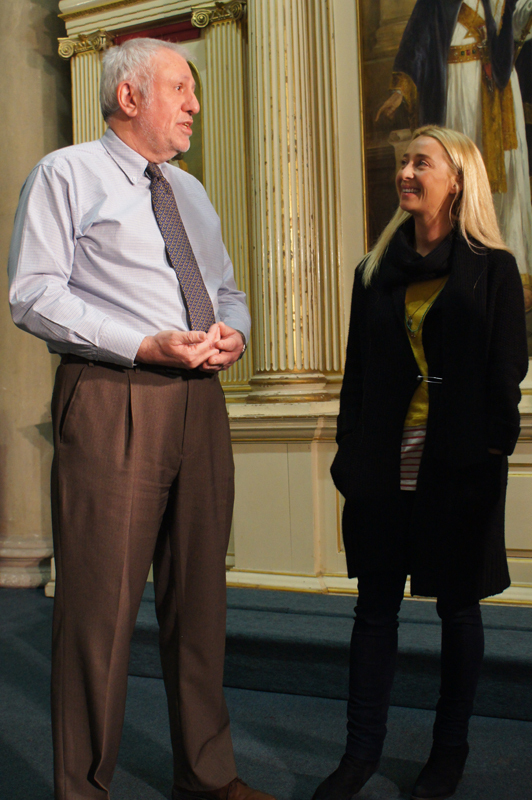 Left: Malcolm shows Asher Keddie the stage where her five-times Great Grandmother performed.